In June, 2012, the United States government concluded its criminal prosecution of Paxil manufacturer GlaxoSmithKline with a settlement in which the drug manufacturing giant agreed to plead guilty to charges of health care fraud and pay $3 billion in fines. That’s right. Three billion dollars. And they are still in business. As part of the settlement, the government also made public key documents that were revealed during the prosecution of the case. Those documents make it painfully clear just how much of a standard practice it has become for pharmacological giants to do whatever it takes to market their products—including purchasing researchers, experts, academicians and practitioners. Dr. Karen Dineer Wagner: $150,000 to promote Paxil for kids. 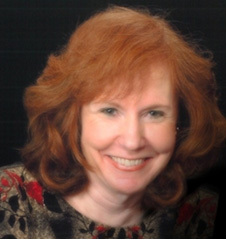 Dr. Karen Wagner is a child psychiatrist at the University of Texas Medical Branch. More interested in research than in treating patients, Wagner has asked for and obtained a lot of federal grant money to fund her research into the use of anti-depressant drugs to treat children. She has also been known, however, to accept large sums from major drug companies, including GSK. Does this alone present a conflict of interest? Not necessarily. Unless, of course, you are getting NHI funding to support your research into the use of GSK’s anti-depressant, Paxil, on teens – and you forget to let the people on the grant committee know that you have also accepted over $150,000 from GSK in “consulting fees.” This conflict, when found out, led to significant outrage from Senator Charles E. Grassley (R-Iowa), a strong proponent of the Sunshine Act. And that was before he learned the truth about Dr. Wagner’s “consulting fees” — it turns out she was being paid to help GSK sell doctors on the idea of prescribing Paxil to depressed children and teens – a use that was not only never approved by the FDA, but was actually contraindicated by GSK’s own research studies. In not just one but three detailed studies, Paxil tested no better than a placebo in eliminating what researchers had determined to be the key symptoms of childhood depression. Not only that, but the studies had a disturbing result as well: the percentage of kids contemplating or attempting suicide was much higher in the Paxil-receiving group than it was in the set that received a sugar pill. According to documents disclosed by GSK under court order, Wagner was paid to deliver lectures promoting the use of Paxil for depressed kids and teens to both GSK’s sales reps and doctors. The details contained in these documents concerning Wagner are detailed and damning: at every event, Wagner was promoting the useless, potentially dangerous Paxil. For kids. At a training session for the sales reps, Wagner told the sales force that depression in adolescents was a lethal disorder that, if untreated, could lead to suicide or linger into adulthood. Wagner told the sales reps that the study in question demonstrated that Paxil was both safe and effective treatment for adolescent depression, and that they could expect the positive results for the first of the Paxil studies to be published in early 2000. An article about that first study was, indeed, eventually published in the Journal of the American Academy of Child and Adolescent Psychiatry. That article “distorted the study results and gave the false impression that the study’s findings were primarily positive, when they were, in fact, primarily negative.” Wagner was one of the 20 authors. Paying for the article and its many re-writes? GSK. Wagner was persuasive: according to internal memos, psychiatrists attending the meetings reported feeling more comfortable prescribing Paxil to young patients. Paxil revenues went up at least $900,000 from these doctors in 2000 alone. Would the Sunshine Act have stopped Wagner? Well, only Dr. Wagner can answer that question. The Sunshine Act won’t stop GSK and others from offering doctors large sums to “consult” for them, and falsely promote their products. But what it will do is allow the practicing physician and the public the opportunity to know if the authors of the papers were paid by the manufacturers (so called industry – sponsored research) and to judge the results accordingly. NOT having this available usually leaves the reading physician to ASSUME it is independently validated research which is unbiased. This is what the manufacturers want assumed – and is the reason the Sunshine Act was so opposed by them. But having this disclosure will make it much easier for good doctors to critically evaluate pharmaceutical products, and to make choices for their patients based on unbiased and sound medicine. Complaint, United States v. GlaxoSmithKline, et al. (“GSK Complaint”), para 52, and Ex. 3 thereto.